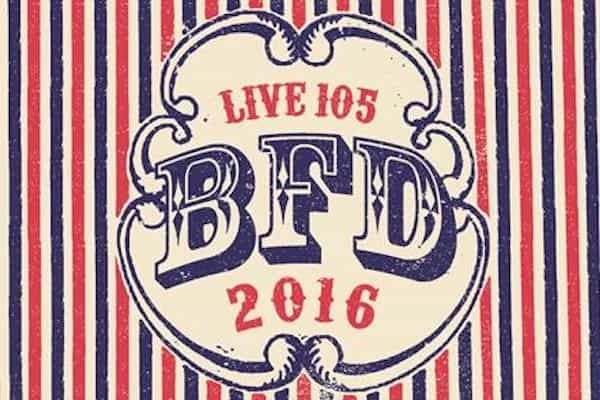 Live 105’s BFD is back at Shoreline Amphitheater on Saturday, June 4! The 22nd Annual event will feature Pop-punk rockers, The Offspring, as well as Silversun Pickups, The Naked & Famous, Wolfmother and more! One of the first Bay Area music festivals each year, Live 105 always sets the stage with a great mix of rock, punk and electronic music. BFD offers music on 4 different stages (The Local Band Stage, The Subsonic Tent, The Festival Stage and The Main Stage) with over 30 artists performing. Tickets are $37.50-$99.50 & go on sale to the general public on Saturday, March 12 at 10AM. There will also be four-pack lawn tickets sold at $105 while supplies last. Additionally, a limited number of specially priced tickets — at $10.53 — will be sold at the Shoreline box office beginning at 10 a.m. March 12. *LIVE 105 pre-sale Thursday March 10 at 10am – Friday March 11 11:59pm sign up to be on #TeamLIVE105 to get the password. The Festival Stage, Subsonic Tent, and Local Band Stage are all general admission. Reserved seating is only for the Main Stage. BFD 2016 Set Times will be announced closer to the event date.